If she is lucky, her baby will sleep well enough to provide her some well needed respite and allow her to catch up on the much needed sleep – but strictly at the baby’s whims. A sleeping baby is the most beautiful sight in the world. But sometimes they wake up in a nasty mood, sending the household into a tizzy. Usually the baby is just hungry and settles down once she is fed. And everybody heaves a sigh of relief. They say a father never wakes up his second baby just to see her smile. Experience tells him that it is not a good idea at all. The first time around, he had a screaming baby to contend with, and worse, he had to explain his actions to the baby’s less-than-amused mother. Putting children to bed is an art form. One needs to have loads of patience and privy to a repository of lullabies, songs, and stories depending on the age of the child. A lullaby is also known as cradle-song and is a song sung to children with the intention of soothing them to sleep. The music is often simple and repetitive. The lullabies are not restricted to their primary use as a sleep-inducer in babies. They have been used for 4000 years by various cultures to pass down cultural knowledge or tradition and to develop communication skills of the child. So how do lullabies work their magic? Lullabies actually create a physiological response in the body which can have far-reaching effects on health and wellness of the baby. Studies have shown that they improved respiratory function, reduced heart rates – indicating lower stress levels – better sleeping and sucking patterns in the premature babies. Does simply speaking to a baby have the same effect as singing? In a university study, it was found that the set of premature babies exposed to singing gained greater health benefits than those who listened to spoken words or those who were exposed to neither. 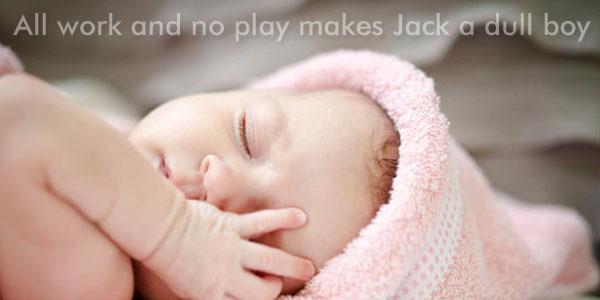 It is clear that lullabies have a calming and soothing effect on the babies. Unsurprisingly, they actually reduce parental stress too. I’ll tell you the story of a king. The famed Indian Summer is here and the dog days last a solid 4 months, starting March. Mercury is already soaring in most parts of India and it would be June before we can expect anything resembling relief from the relentless heat, if rain gods are merciful this year, that is. Summer months are hard to deal with as the energy levels are low. The heat saps the energy out of us and to make matters worse, the tempers tend to closely follow the mercury. That’s enough scaremongering. Let us get down to exploring the ways to survive, even thrive, this summer. Starting your day early and ending your day early is recommended. Time to take out your cotton clothes, if you have not already done so. Loose fitting cotton clothes ensure that your body is kept cool, no matter what the outside temperature is. Avoid going out in the sun, but stay in the shade if you must. Always carry an umbrella or a hat. Use a good quality sunscreen to protect your skin. Always carry a bottle of water. This single most important precaution can keep you hydrated and can dramatically increase your chance of avoiding sunstrokes. Avoid eating out as the scarcity of water has a direct bearing on the level of hygiene practiced by food vendors. Avoid eating deep-fried food. The salt used as a preservative in packaged food can make you thirsty quickly. Food in summer months needs to be healthful, light, and nourishing to keep our energy levels high and our body temperatures down. Here are some foods that can do the job for us. Curds: Curds or yogurt is a coolant par excellance. Make lassi, buttermilk, and raita your best friends this summer. Fresh fruit: Some people just depend entirely on this excellent and healthy source of nourishment to see them through summer months. Tender coconut water: Another summer favorite that is full of simple sugars, electrolytes, and minerals which can keep us hydrated and in excellent spirits. Watermelon: Being basically made up of 92% water and 6% sugar, it makes for an excellent summer food. Cucumber: Apart from its cooling properties, it is full of fiber – great for avoiding constipation. Vegetables: Some can be eaten raw in a salad, while others can be cooked. Boiled vegetables are nourishing, healthful and filling. Lime water: This time-tested and simple concoction is a great way to beat summer heat. At the very least, drink plenty of water to stay hydrated and to avoid infections. Dehydration can creep in on us faster than we would like to believe is possible. Outbreaks of cholera and diarrhea due to food contamination is common in summer. To protect yourself, stay away from food vendors as much as possible. Sticking to home food is the best way to stay healthy during summer. Indian education system has it strengths, but it is also true that writing an exam is nothing less than an ordeal for our children as the primary stress is on committing information to memory for the purposes of reproduction later. Studying by rote or by-heart is the primary tool used for learning by most students. The subject matter is on read repeatedly until the student is able to reproduce the same information, exactly the same way, but without referring to the book. Needless to say, not the ideal way to promote creativity and critical thinking in young minds. Things are changing slowly, but more needs to be done in making the purpose of assessing a child’s knowledge in more meaningful ways. Until such time, children – and parents – are left to deal with the current system. 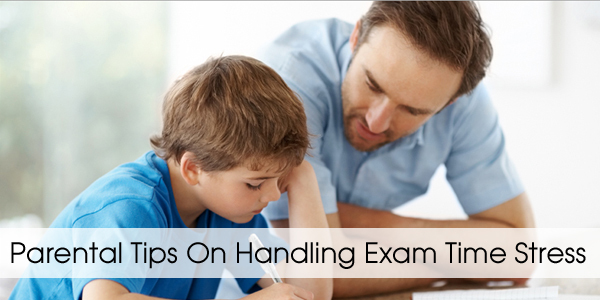 Parents, especially mothers, undergo a great deal of stress during exam time. If they are professionals juggling their time between a career and raising a family, the stress levels can go through the roof. Exams are not be-all and end-all: As a parent, make it clear to your child that while scoring good marks is desirable, even essential, it is not the only thing. Encourage them to spare no effort, and let them know that rewards will soon follow. Often, children are bogged down by the burden of unreasonable expectations. Encourage learning on a daily basis: Preparations for a given academic year should start on the day school reopens. It is a good idea for you and your child to keep track of learning on a daily basis and if time is a constraint, on weekends. This can lower the workload considerably and not burden you with the accumulated work during exams. Food is the fuel that provides energy: Make sure your child is eating right and not binning it the moment your back is turned. Some children tend to overeat due to anxiety. Not a good idea, as it can make them lethargic. Incorporate fresh fruit, green salads, and boiled vegetables in their diet. Drinking plenty of water ensures fluid balance in the body. Ensure they are physically active: Encourage them to spend some time outdoors. This will not only give them a much needed diversion but also plenty of fresh air. The more the oxygen supply to the brain, the more it helps them to think clearly. A little bit of recreation: You can even watch a favourite TV program together and also listen to some soothing music. The idea is to make it feel like a normal day, but with a little bit of parental supervision. This can work wonders to the morale of your child. Children need parents: It is a great idea to involve both parents, wherever possible, in helping your child deal with the exam-related stress. Always discuss with them about their progress, and find out if they are experiencing any difficulties or problems. Finally, children are tougher and stronger than we give them credit for. But having their parents by their side gives them superhuman powers to deal with a tough situation. Good luck every one with your exams! Summer holidays are almost here. What’s your plan to keep your kids gainfully employed? Modern gadgets like video games and playstations have their place. But they get monotonous after a while and they do nothing to get your child to think, which is critical to the allround development of your child. Why not do something different this vacation? Why not introduce them to the wonderful world of books! Reading promotes critical thinking in children. Moreover, reading books is an activity that is being increasingly recommended by social scientists and doctors for its ability to entertain and educate children. We understand that this is something you have always wanted to do but did not know when and where to start. To answer the query when, let’s say any time is a good time. To answer the query where, we’ve made it easy for you – we’ve just put together a collection of children’s books. This wonderful collection offers you such classics as the Jungle Book and Alice in Wonderland to get your child started. Dinosaur Encyclopedia will make your child the class expert on dinosaurs in no time at all. Gulliver’s travels, Treasure Island, Harry Potter and the Philosopher’s Stone, and David Copperfield are some of the other fantastic offerings in our list. 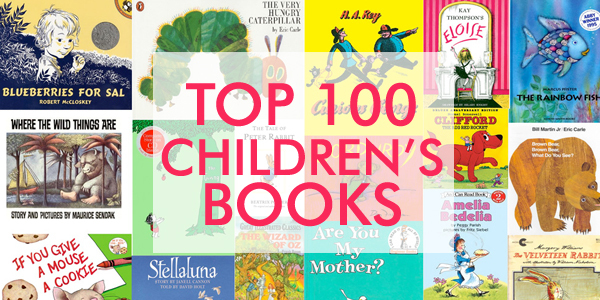 Explore the entire collection of Top 100 Books for Children. And don’t forget to borrow the book from your children once they move on to the next one, it will be a beautiful journey down the memory lane for you too! Grab a book from the collection and a bag of popcorn and curl up on your favourite settee for the adventure of a lifetime! Click here to order a book from our collection of “Top 100 Books for Children”. 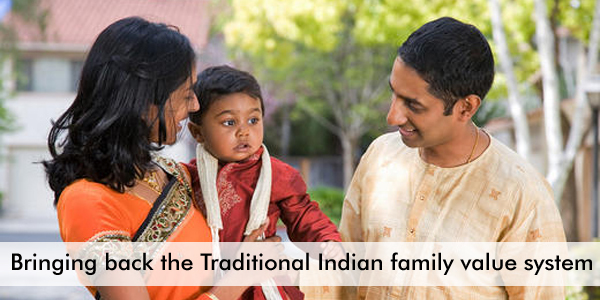 Traditional Indian Family Value System – Time to go Back to Basics? Interesting that we should have selected this topic for discussion, in the first instance. Are we thinking of ushering in the traditional value system because it is superior? Or is it merely a tendency on the part of us humans to indulge in a bit of nostalgia now and then and look back at the good old days where everything was just about perfect? What exactly is the traditional Indian family value system? Indian culture has been heavily influenced by Dharmic (religions that originated in India) religions. The Indian value system has drawn its core philosophy from all Dharmic religions. The Abrahamic religions have also contributed significantly in shaping what is collectively known as the Indian Conscience, of which family life is a central theme. The aspiration behind the verse is said to have inspired Mahatma Gandhi in giving shape to his own philosophy – respect for all life forms, non violence as a strategy to resolve conflicts and adoption of a holistic development model. Makes perfect sense when you think about those needless conflicts and wars being waged largely on the basis of differences that are largely man-made, doesn’t it? Family life, marriage, nature, agriculture and way of greeting people are at the heart of traditional Indian family system, and each of them contributing significantly to the overall system. Let’s look at some of them in some detail. Greeting: When we meet people known and unknown, we greet them by pressing our hands together and bowing slightly, instead of shaking them by the hand. ‘Namaste’ means ‘I bow to you.’ This is seen as more respectful and being adopted by more and more people around the world, as it does not require physical contact and safeguards people against transfer of harmful germs. Marriage: Marriage is a sacred affair with primary emphasis on children and their upbringing. A shared responsibility always makes a marriage more stable. India’s divorce rates are still among the lowest in the world. Nature: Nature worship is an integral part of Indian family life, which ensured a healthy respect for nature and all living things. It also promoted sustainable living and inflicted minimal damage on the environment. Exactly what scientists are advocating now! Agriculture & Commerce: India has always been an agrarian society. We grew most our food ourselves and organically. In money matters, we have always been conservative with a marked emphasis on savings. We have always believed in earning the money first before spending it. Finally, our concept of family where everybody lives together under a single roof is largely responsible for establishing a solid value system. The traditional way is respect for elders, devotion to parents, and love for siblings. The reward is a stable family life full of security and love, and devoid of boredom. Well, one could say, there is a lot going in favour of the traditional Indian family system. Humans do possess the capacity to shut themselves out from everything and concentrate on a single activity such as work. Single-minded devotion is the word often used to describe the condition where factors other than those that help in achieving one’s goal are ignored. But human mind is designed to work at its optimum best for certain periods after which the productivity diminishes. Brain needs rest. Yes, but it is equally true that our mind also needs distraction from time to time. Recreation is a useful distraction that can provide the fuel needed to power a person’s creativity. The pace of modern life is such that people tend to become oblivious to their surroundings. For example, busy people do not know or care what food they are eating. They tend to finish their meal in a jiffy or take inordinately long time to complete the activity. Often the food goes untouched. A mother can recognise the early signs. She will try and get her child, the ever-busy professional, to slow down. When that happens, pay attention. It means, the ever-observant mother is beginning to get concerned that you are showing classic symptoms of overwork – failing to observe social norms like acknowledging the presence of other people around you. At this stage, you are as bored of others as they are of you. Take a break. Go on a vacation. Pick up a hobby like gardening or join a citizens group. The pressure to perform is not just the preserve of working professionals alone. Our Jacks (and Jills) are also under considerable strain to outperform their peers. It is not uncommon to see young children cooped up with books all the time because parents worry that their kids are not putting enough effort to make the cut at certain prestigious educational institutions. However, let us remember that good grades do not necessarily ensure blossoming of creativity in your child. Balancing study/work, fun, recreation, and social interaction is more important for your child to be successful and be a well-rounded personality. Finally, the single most significant reason for achieving a balance between work and play is that the personality of your child is being moulded during this time. Modern technology is often accused of making zombies out of people by hiding the complexities from its users. Buzzwords like ‘enhanced user experience’ is freely used by the manufacturers to showcase their products. No matter how complex the operations involved behind the scenes, companies make sure the end product can be operated with the help of a couple of buttons. All that is very well from an adult point of view. But, scientists and doctors worry that hiding complexities from the user is resulting in a gradual stifling of creativity in young minds. Elimination of the need for independent thinking and its impact on decision-making is a far greater danger facing mankind. We are increasingly being served ready-to-eat food all the time. If, for some reason in the future, should there be a food scarcity on a global scale, many of us possess no knowledge about how food is actually grown and might be forgiven for thinking that it is grown in supermarkets. We forget that the process of growing food is complex and involves specific knowledge about sowing, weeding, watering, and harvesting – to name just a few things. Unsurprisingly, many among us today are unable to do simple mathematical calculations using pen and paper! Human brain thrives in the face of challenges – the more complex the better. It is designed for constant and creative usage which also prevents it from degeneration. Apart from the anthropological and anatomical needs, the 21st century economy makes it incumbent upon its workforce to be creative. As the old economy slowly makes way for the new one, we have to be creative in our approach to problem solving and independent in our thinking. 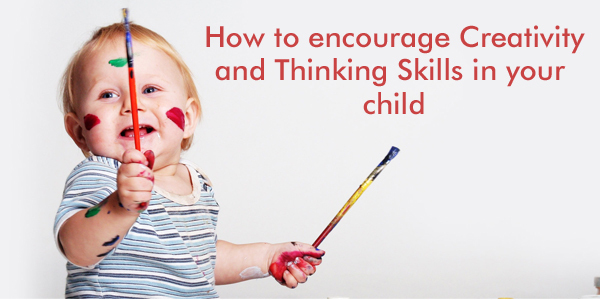 Let us examine then how to encourage children to be creative and independent thinkers. Encourage them to play with other kids in the neighbourhood. Interacting with other humans promotes the ability to respond to a given situation quickly. If your child gets bullied he will learn to deal with it in due course of time. Don’t rush to your kid’s help in cases where the problem is non-life threatening in nature. Children, given sufficient time and encouragement, are fully capable of solving it. The confidence gained, along with your praise should encourage them to think independently. Pick a suitable topic at random and ask your kid’s opinion on the issue. Discuss possible scenarios together thus encouraging your child to explain the reasons behind the views expressed. Earning parents’ respect can be a great morale booster for the child. Reading promotes critical thinking and makes children rely on their power of imagination. It encourages visualization and raises more questions than they can answer. This in turn will lead to an interest in research and further discussions on the topic. Introduce them to sports and outdoors. Sports makes them mentally tough and gives them the ability to assess their situation and take appropriate action. Love of outdoors opens up further avenues for their mental and physical evolution. Finally, before you do anything else, make TV viewing a restricted activity. Children gorging on junk food and watching television all day does not make for a pretty sight. Once the idiot-box is out of the way, your child will have plenty of time on hand to put to good use. For most parents getting their children to eat a balanced meal is a daily struggle.As a Child Food Habits Consultant I have always found that thetrick is in getting children involved in the decision making instead of forcing a set of values and concepts on them. I strongly believe that even the pickiest eater can be taught to eat right and healthy. Teaching children to eat a diet full of fruits and vegetables, whole grains, and plenty of healthy proteins is important to maintain a healthy diet and weight. In India mothers are constantly worrying about their children’s diet and eating habits but feeling completely helpless about improving the situation. 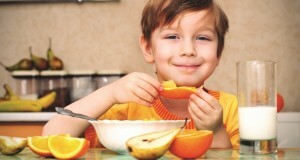 It is important that as parents we start implementing healthy food habits early on in our children’s life.At a young age start by encouraging children to try new, healthy foods, allowing them to listen to their internal signals of hunger and fullness, and as a parent learning to respect their decision on how much they eat. Research has time and again shown us that it takes many exposures to new foods before children decide to accept them. I often suggest to my clients that instead of asking/begging/pleading/threatening/bribing a child to try new foods, it isbetter to have them do a taste test, and if possible at a time other than the main meals. A small spoonful with no conditions attached. Ask them to describe the food…taste, texture, smell etc. If they are old enough to write, have them write down their description. If you have more than one child, have them all do the taste test. Take their views and findings seriously. You can also describe the ingredients you have used. Get children to smell and taste some of the ingredients separately. Let it be about recognizing and analysing the taste and textures and not about having to finish all that is in the plate. Take the pressure off eating. Over time, children who taste lots of different foods tend to eat a variety of foods. Kids will eat flavours they are most exposed to. Most packaged foods that target children are generally high in sugar, salt, additives and preservatives, which we all understand is not good for children or adults. A child who is used to eating store bought crackers, chips, juice or other such foods often, will find vegetables and fruits to be extremely boring as they don’t give the same flavour hit as store bought foods. However, a child who is used to fresh fruits and vegetables as a major part of his diet will more likely crave for those healthy food flavours when he is hungry. Ever tried taking a pre-dawn shower on a cold winter day? If you survived the sheer terror of the first few moments, it is reasonable to assume that you went on to complete a refreshing shower that alerted your every sense but left you a little shaken for the experience. Brutal but enjoyable – once you absorbed the initial shock and took the numbing cold in your stride. The first year and sometimes the first day are usually a precursor to the size and shape of things to come in the future. That probably explains why our first date, our first day at our first job, and of course, our first baby gave us the heebie-jeebies. Fear of the unknown is always overwhelming. Motherhood in the first year, with due respect to all mothers out there, is a little like the bathing experience described above – survive the initial experience and you will love the rest immensely. 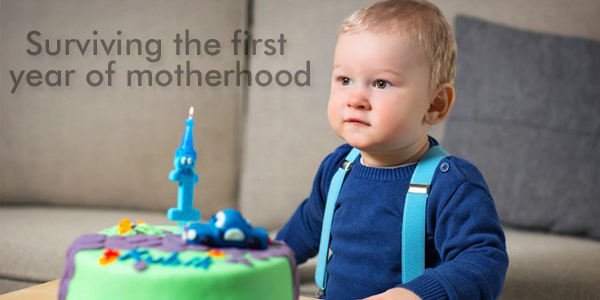 The first year of motherhood is relentless in its demands on the mother. If all new mothers were to be offered a choice between a million tax free dollars and a good night’s sleep, almost all of them would opt for the latter option without a moment’s hesitation. Sleep, or lack of it, is the single most recurring topic of conversation involving a household that has just had a baby. Number one is, of course, making parenthood a family affair. Get your partner to share the responsibilities. Share and share alike. Find out about your baby’s feeding and sleeping habits. Let her decide on her own schedule. You simply follow suit. No matter what everyone says, you should expose your baby to external environment sparingly. Babies can catch an infection very easily. Listen to good-intentioned advice from everyone and thank them for it. But understand that every baby is different in her preferences and routine. You know your baby best. Babies can be difficult to manage when they are sick as they know only one way to express their feeling – through crying. In a worst case scenario, babies can cry all night. One way to ensure your baby is healthy is by not missing her vaccination schedule. 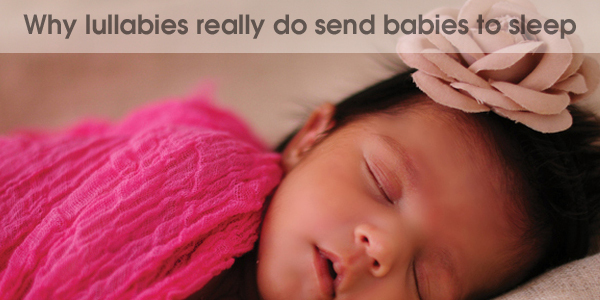 Winters can be difficult months for a baby, and for you. Make sure the baby stays warm at all times. Buy winter clothing if local conditions demand it. Synchronize your sleeping habits with that of the baby’s. In other words, sleep when she sleeps. It is the best way to catch up on some much needed sleep. You don’t have to worry about waking though! She will make sure the whole household will wake with her. It will get progressively better from the first year onwards. The baby will begin to understand her surroundings and recognise her parents. She will begin to derive comfort from their presence and physical proximity. She will also begin to sleep better, and at regular hours. That is probably the best indication that you have done a great job with your baby and earned yourself a pat on the back. Or should we say the right to get some shut eye when you are supposed to! Another year has gone by and we are almost a month down in the new year. Now it is just a matter of time before schools close for the academic year. Needless to say, everyone is looking forward to the welcome break. The countdown has well and truly begun. Kids are looking to do something exciting after a gruelling schedule of homework, exams, and early morning starts. Teachers are grateful for the well-earned time out too. Summer is a happy time for all. Well, maybe not for all. If you are a parent, challenging times are ahead. Like they say, “Summer (holidays) is the only time when parents realize how grossly underpaid teachers are.” Perhaps, truer words were never spoken. Parents know only too well about what to expect from their kids. Did we scare you? If we did, we apologise sincerely and unconditionally. We know you do appreciate the noble intentions behind our scaremongering. Sure you have dealt with the situation before. But the problem is, it’s been a while. A year is a long time, especially with kids. And their level of expectation goes up too. 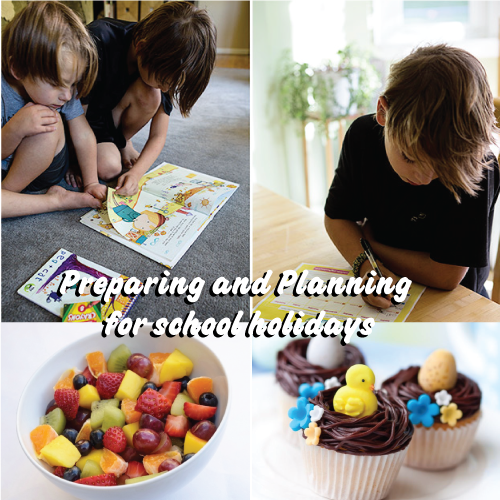 Well, without any further delay, let us look at some of the ways to plan and prepare for the holidays. First up, spend the first week at home, doing nothing (this usually means watching TV). This will help everyone to relax, immediately after a long period of hectic activity, and gives the family members time to settle down and do some planning. Next, sit down with your kids and discuss what they would like to do during the holidays. Being democratic in your approach and making the kids part of the decision making process not only helps you with fresh ideas, but also provides you with a safety net should things go not to your youngsters’ liking. Clever, ain’t it? Next, organise things around the house. What really tires us out is the constant running around. Make sure you are well stocked on supplies so that kids can choose activities on their own to amuse themselves and to eat when they want, which is often. Next is time to move out of the house and spend some time outdoors. Mix education with fun. Visit art galleries, zoo and libraries. Hiking or a day at the beach can help the family to spend time together and be engaged for the entire day. Delegate work to children, be it carrying picnic basket or making sure your house is securely locked before you head out. Set aside the penultimate week of the holidays for visiting members of the family and friends you see less often. Renewing relationships and strengthening them further is a good way to remind your kids the importance of family life. Well, it is last week of summer. Time to get back home and talk about things you did together as a family and also plan for the year ahead. Paying a little attention to the cleaning of the house, which may not have received the kind of attention it normally does, is now in order. Happy holidays in advance!